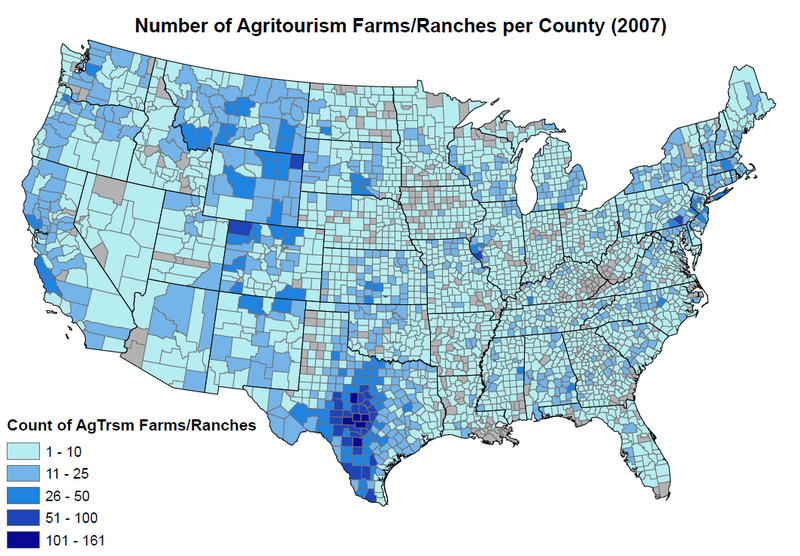 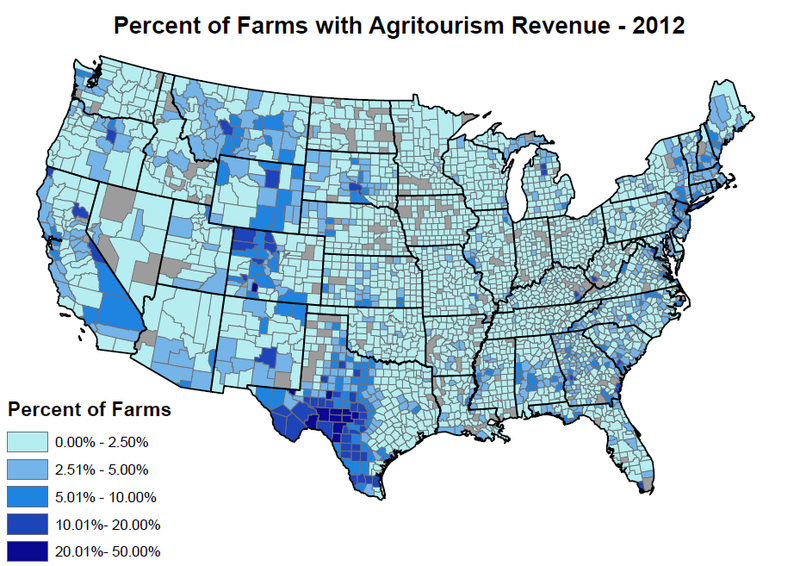 In 2007 most of the agritourism farms were located largely in Texas, the Pacific Coast, the Rocky Mountain States, and the Northeast. 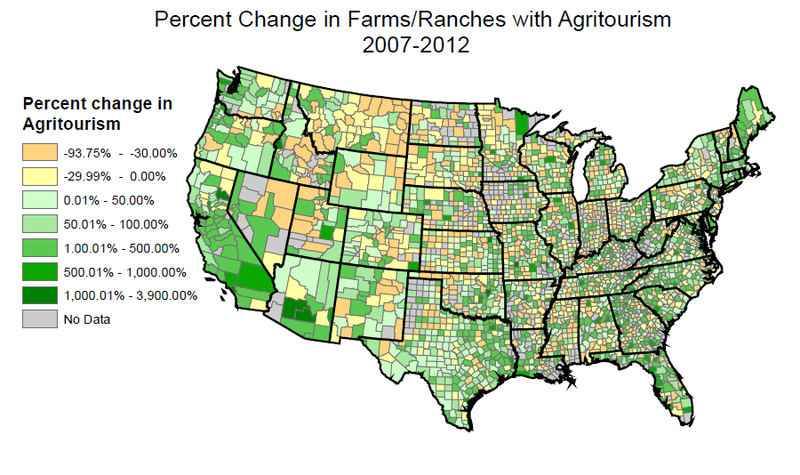 Exploring the reasons for these concentrations may help farmers and ranchers take advantage of market opportunities. 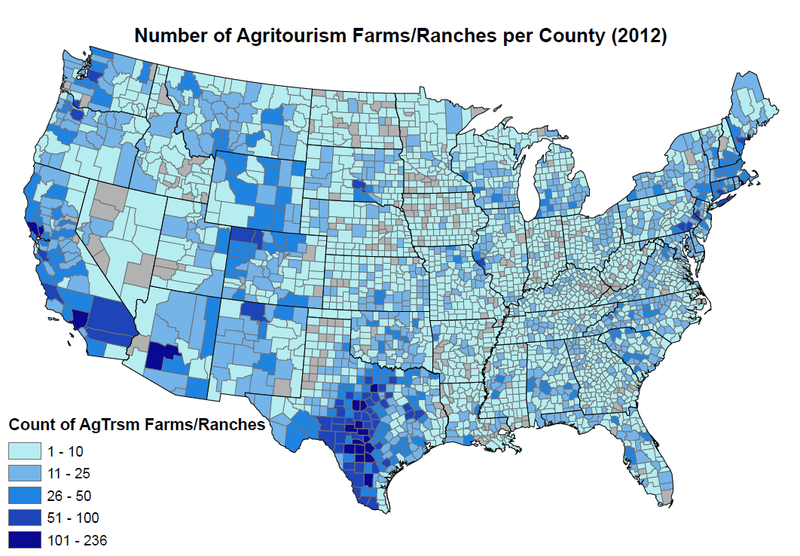 Counties with the highest shares of farms and ranches in the contiguous U.S. are found in western Texas, the Rocky Mountain States, and to some extent coastal counties and the Northeast. 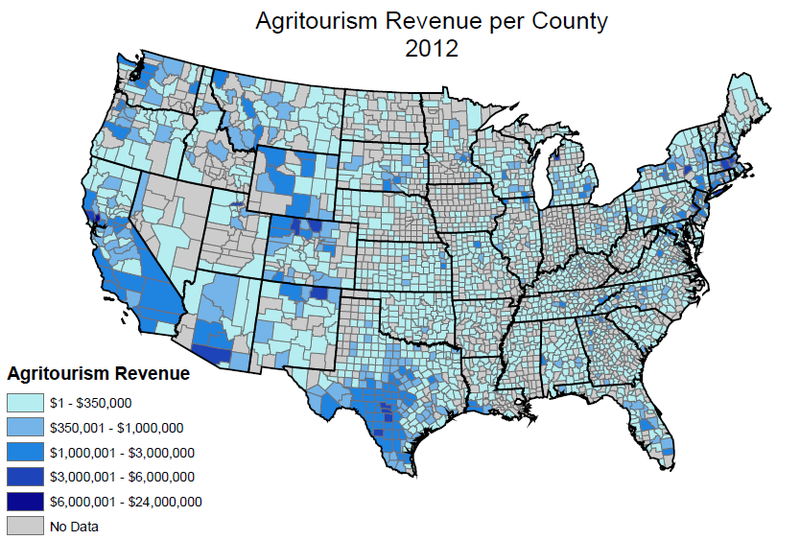 These seem to be mostly rural areas.